The first part of the third part of The Hunger Games trilogy, Mockingjay part 1 follows the irritating recent trend of splitting popular books into an unnecessary number of films (Harry Potter and even Twilight both also split the final book into two films, and of course The Hobbit is going through its cycle of four thousand parts as we speak). Unlike most 37-year-old men, I actually really like these books and thoroughly enjoyed the first couple of movies, well made and engaging as they are. 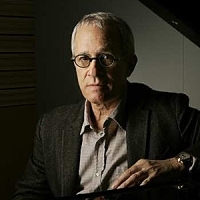 James Newton Howard was a fairly late arrival to the first film after things didn’t work out with Danny Elfman, and his score wasn’t really that popular but I thought its distinctive earthy, sometimes folksy sound was very impressive. It was a big disappointment that his score for the second part, Catching Fire, was so much more conventional and so much less creative, a fairly bland and generic modern action score. Given that the composer’s creative muse seems to have been reignited in 2014 – Maleficent earlier in the year is as good as anything he’s ever written – so I was hoping the third Hunger Games score would mark a return to form. In fact it’s probably somewhere in between the two earlier ones – stylistically much closer to the second, but done better and at its best really very impressive. The first half of the album is surprisingly low-key and introspective. It opens with “The Mockingjay”, a beautiful theme reminiscent of Howard’s work for M. Night Shyamalan (and carried over from the previous score), but the melody seems curiously unresolved. “Remind Her Who the Enemy Is” has a brief glimpse of some action before the beautiful “District 12” with a mournful wordless female vocal leading into a desolate orchestral soundscape, little saplings of hope springing up here and there. So there are some interesting ideas being presented, and the right boxes are being ticked, but in these early passages the music struggles to truly engage – Howard has fine orchestral technique and that’s certainly in evidence, what’s lacking is a true hook that captures the imagination. The score remains predictable and safe, melodies don’t stick in the memory. The first one that really does is “Katniss’s Nightmare” – and that’s because it’s the extremely lovely “love theme” from the earlier scores. “The Arsenal” is the cue that sees the score really catch fire at last, with a choir joining the orchestra and some electronics for some grandstanding action music. I could live without the cheap electronic percussion that blights the following “Incoming Bombers” – it detracts from the quality of the orchestral writing, which is considerable. There’s a genuine darkness to the music which is very impressive. I love the hauntingly barren “District 12 Ruins”, too – sophisticated and mature. The score’s centrepiece is “The Hanging Tree”, which starts with Jennifer Lawrence performing a plaintive vocal over an ever-growing orchestral accompaniment which eventually takes off and soars away majestically by itself. It’s pretty spine-tingling once it gets going. It’s not actually by James Newton Howard, though I’m sure he contributed the orchestration, which ironically means that the only two pieces of music most people will recognise from this series so far (this, and the first film’s “Horn of Plenty”, which is all over this film too but doesn’t appear on its soundtrack once) are not actually by Howard. After that, the score is more outwardly dramatic with very mixed results – I love “Air Raid Drill” and the harrowing “District 8 Hospital” – but there’s also the obnoxious electronics of “Jamming the Capitol”, which are probably a necessary evil but ruin what would have been one of the most exciting action tracks on the score (the following “Inside the Tribute Centre” has the obnoxious electronics without the great orchestral histrionics alongside them and shouldn’t be anywhere near the soundtrack album). After that, the score ends on a downbeat note, setting up the final installment next year. To return to a familiar refrain – this album’s biggest problem is its length. There is some excellent music on it, but at least as much uninteresting filler has to be navigated in order to find it. 70 minutes is twice as long as the music justifies, which reduces enjoyment considerably. The other problem is that The Hunger Games still seems to be searching for a real musical identity of its own – Howard has morphed it into pretty straightforward modern action/thriller territory, which is fine, but he hasn’t written that killer theme yet to bind it all together and I don’t suppose he’s going to now. Without a central theme the music does sometimes feel just a bit too anonymous, even in this third score which certainly features the most accomplished writing even if some of the good ideas in it aren’t developed as much as might be hoped. A 1990s-style 30-40 minute album, carefully programmed, like the first film had, would hide a multitude of sins and would probably be pretty spectacular, but the problem of presenting the score like this is that interest levels wane so much during the duller sections that it feels like a hard slog to get through the whole thing. That’s a shame because at its best there is some really fine music in Mockingjay part 1 – it doesn’t get to Maleficent levels, for sure, but it does have a lot to offer if you can be bothered to sit through the boring parts. I think with each HG film, Howard’s motifs get better and I like how the scores get more orchestral with each progressive film. I’m also positive Howard orchestrated “Hanging Tree”, there’s no denying that arrangement at the end. But you’re right, he needs to tie in all these beautiful motifs — Rue’s Farewell, the love theme, et al — into a strong and memorable theme. Dear Mr. Southall, I have been appreciating your reviews for a while now and I have a question. Do you plan on reviewing Mockingjay part 2 anytime soon?